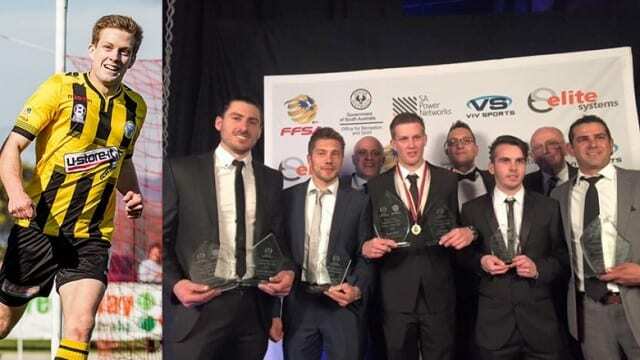 West Torrens Birkalla’s Ryan Kitto has been awarded the prestigious Sergio Melta Medal – PlayStation 4 National Premier League South Australia Player of the Year award at the 2015 Celebration of Football. The awards evening recognised the highest achievers of the 2015 season at the Adelaide Entertainment Centre, in front of a crowd of 646 guests. Kitto polled 30 votes in total, 5 ahead of second placed Rocky Visconte from Croydon Kings who took home the title in 2014. West Torrens Birkalla enjoyed a successful evening with Head Coach Steve De Giovanniello awarded the Martyn Crook PlayStation 4 National Premier League South Australia Coach of the Year and Goal Keeper Julian Torresan taking home the Peter Nikolich PlayStation 4 National Premier League South Australia Goal Keeper of the Year award. 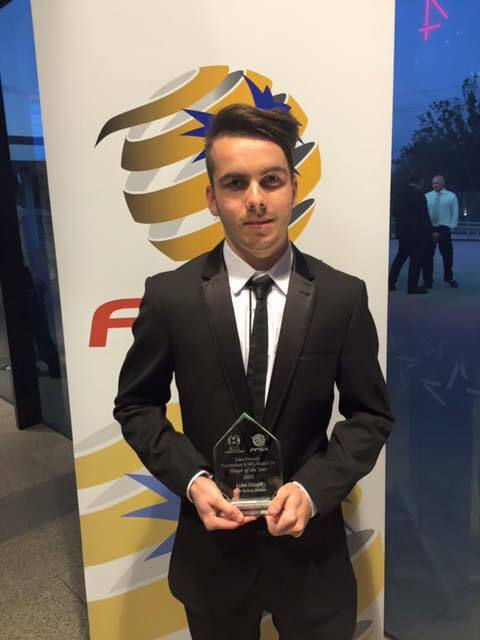 Birkalla’s Luke Uzzell also won the John Francis PlayStation 4 National Premier League South Australia Under 18 Player of the Year.